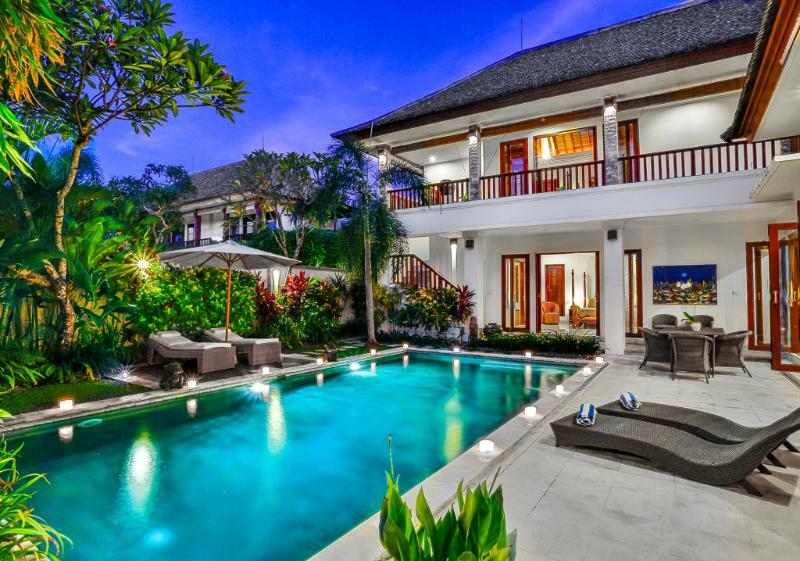 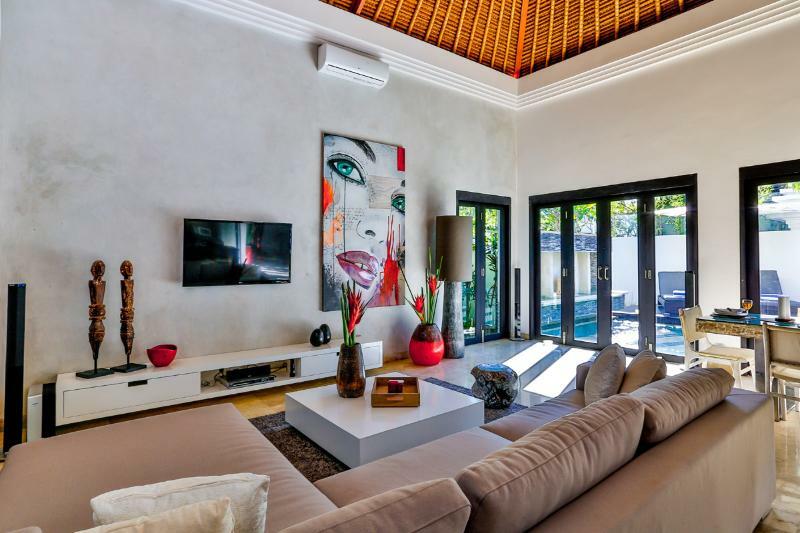 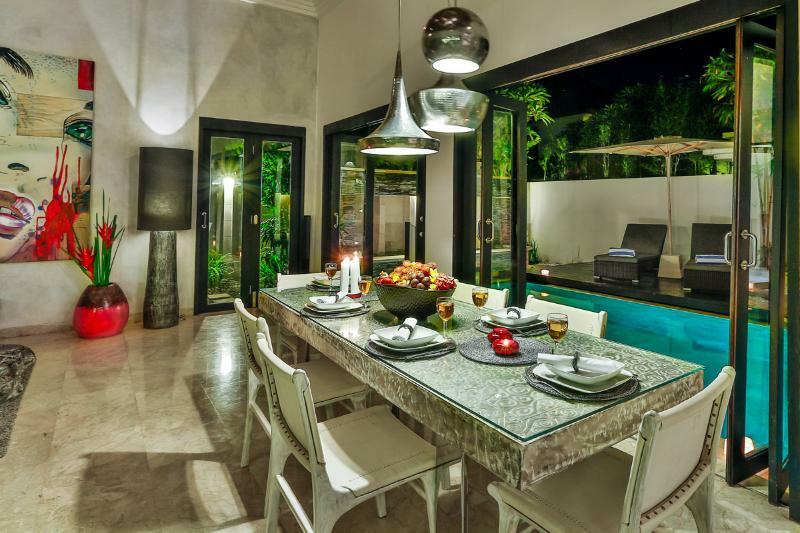 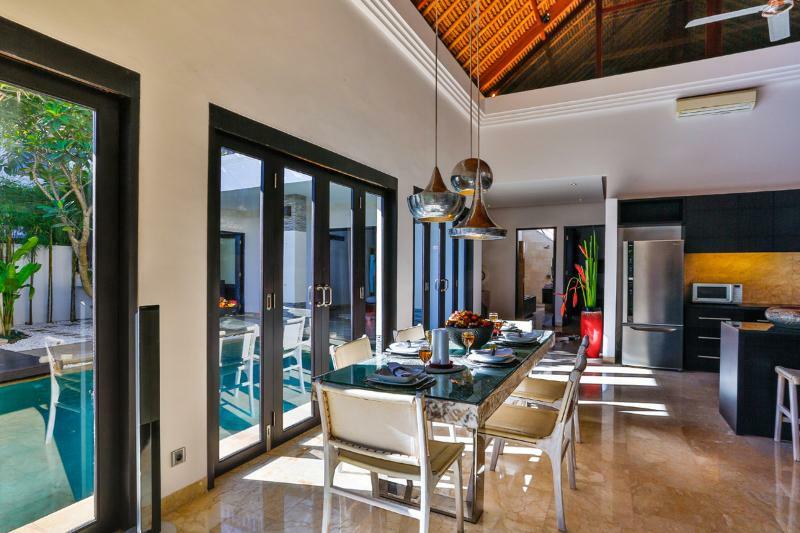 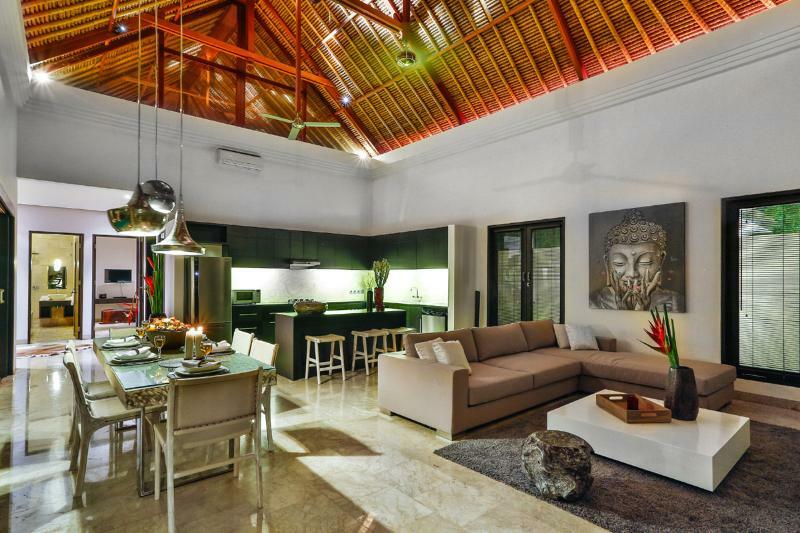 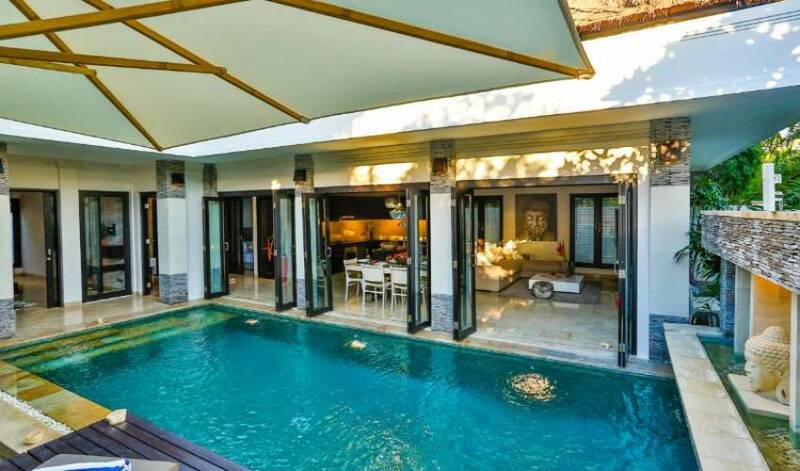 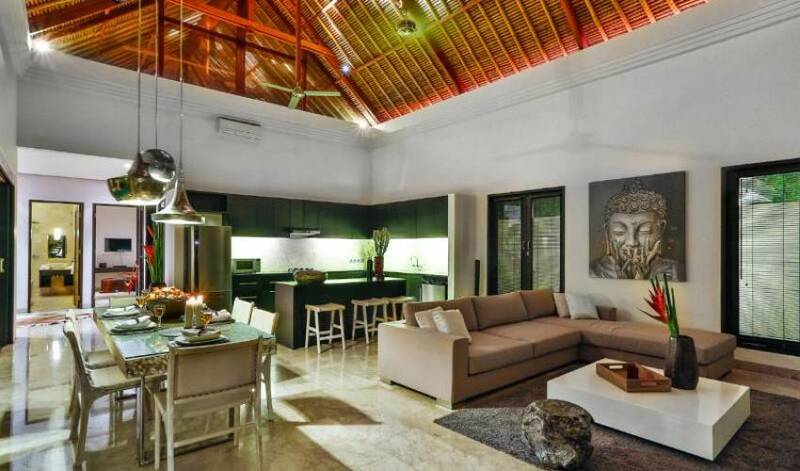 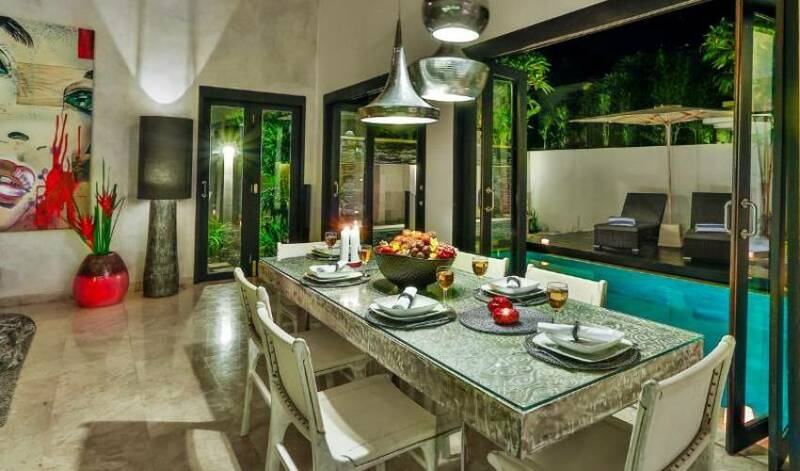 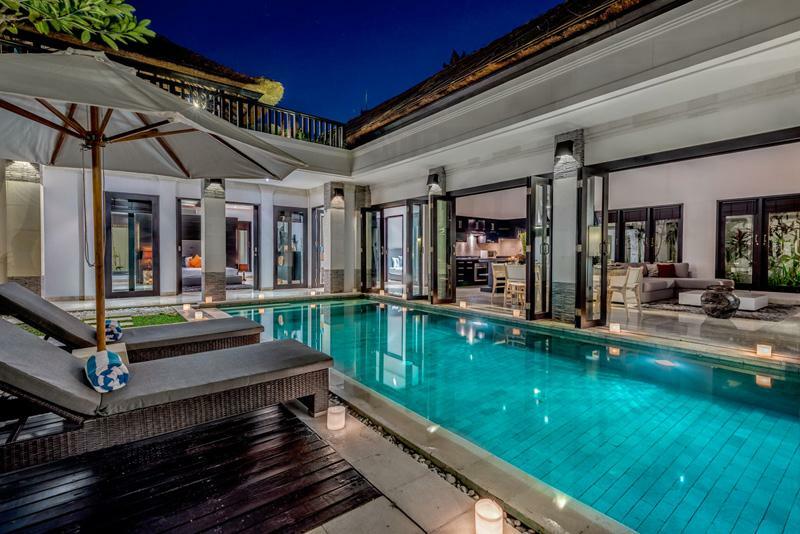 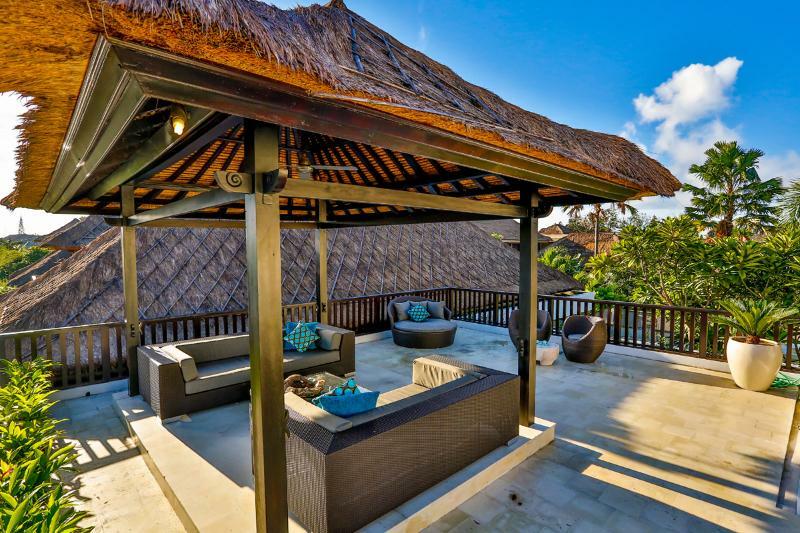 Guests are greeted at Villa 3540 by serene Balinese figures in repose before entering double doors into a spacious and bright air-conditioned lounge, dining and kitchen area that opens onto the 8.5 x 3.6m swimming pool. 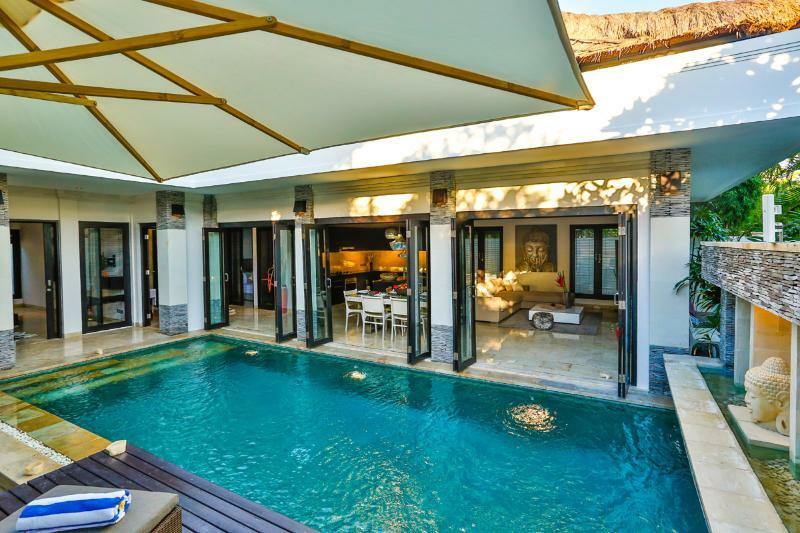 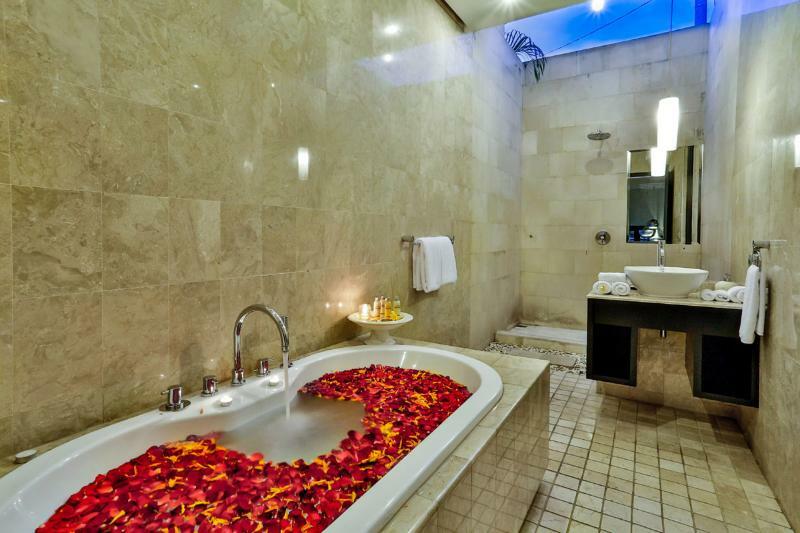 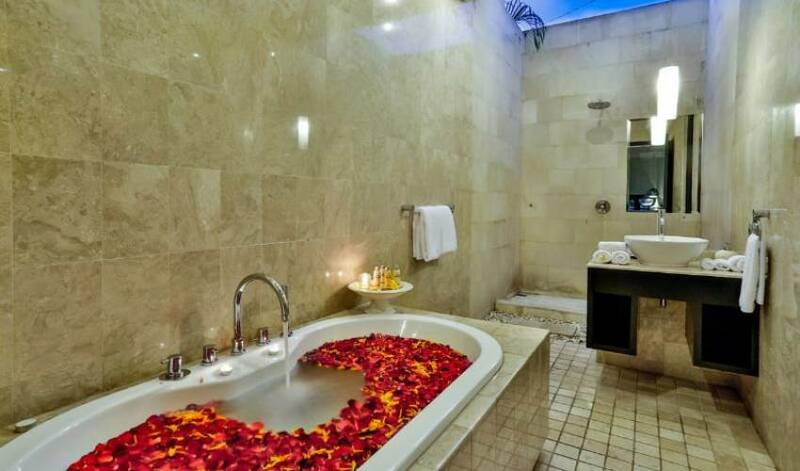 The king-bedded master bedroom overlooks the pool and boasts an impressive garden bathroom bordered by bamboo and featuring a jacuzzi tub as well as a rain shower. 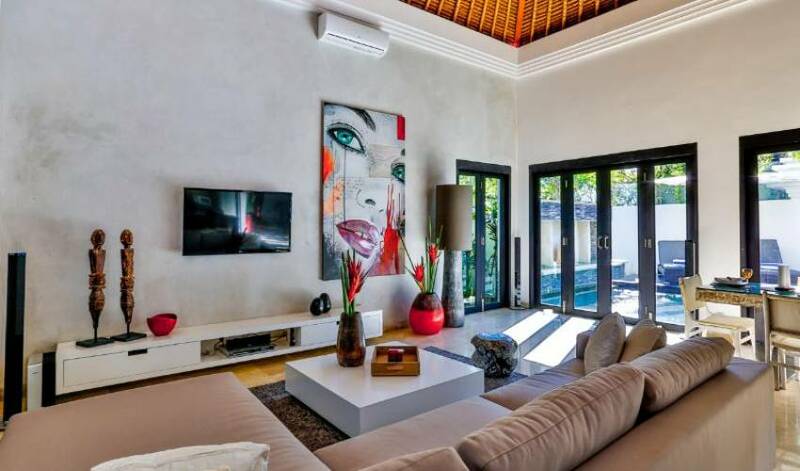 The second bedroom is furnished with a queen bed and is surrounded by a lush tropical garden and has an ensuite featuring an outdoor shower and indoor bathroom. 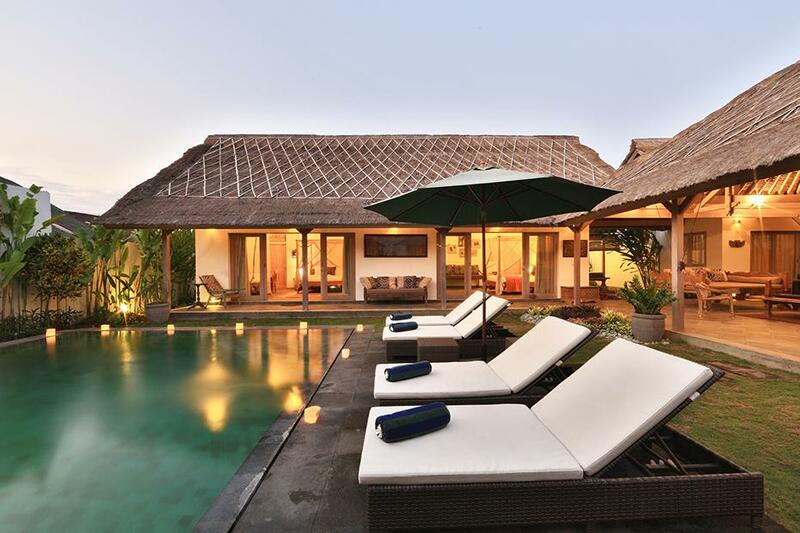 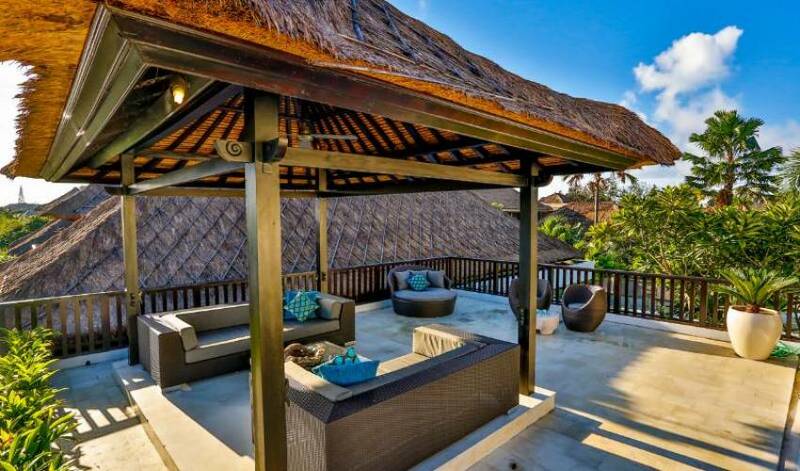 The third room, which has twin beds, can be used as a study or conveniently converted to another bedroom, making this villa very suitable for a family. 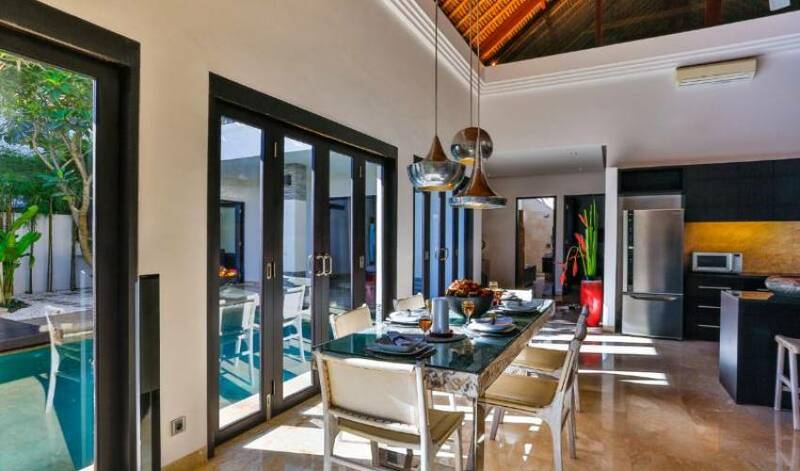 The villa offers guests a multitude of outdoor lounging areas including a delightful sheltered rooftop balé furnished with a dining table for four, and two deckchairs alongside the pool.